Anyone with allergies knows when spring begins, and plants start pollinating, the offensive ‘dust’ can wreak havoc. However, one of the great things with pollen, from an archaeological perspective, is the fact that it gets dispersed annually. 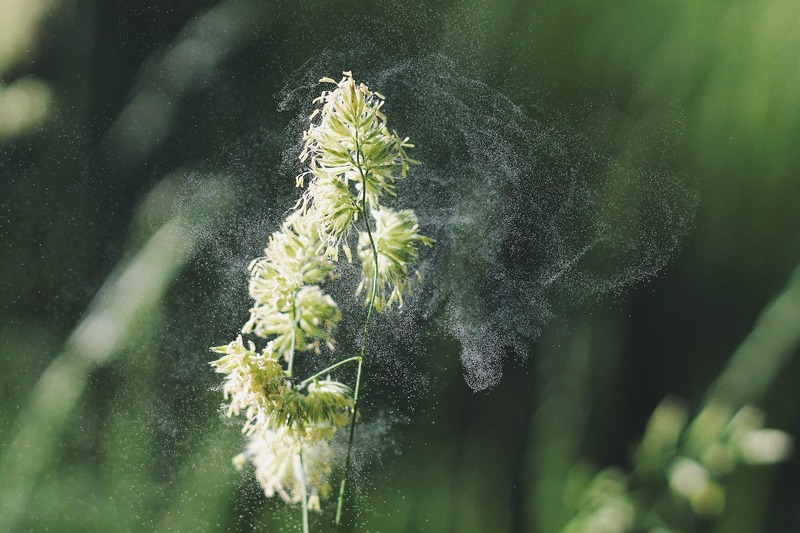 This means that each year, the ‘signature’ of the pollen released tells us about the landscape at the time. Plants have evolved to reproduce with pollen in several ways, and one that is highly effective is pollinating via the wind. Pollen being released from a flower which will be carried by the wind. Plant Pollen is available through the CC0 Public Domain. On two different flights over southeastern Alberta, separated by about thirty years, unusual stone features were observed on the landscape. Upon further inspection by archaeologists, it was determined that these two sites are the remnants of drive lanes and traps that were used for the communal hunting of pronghorn (Antilocapra americana, also commonly referred to as antelope). While it is commonly known that bison were one of the greatest resources for precontact North American Indigenous groups, it is important to note that before European arrival, it is thought that there were just as many pronghorn as bison in North America. They were an important resource as well, particularly for people living in the Great Basin region of the United States, as pronghorn were one of the largest game animals available in that region. For Plains groups, bison were preferred for meat (and there is abundant archaeological evidence of this in the many bison kill sites across the Plains), however, pronghorn were valued for their hides to make clothing and other items. Pronghorn or Antilocapra Americana, also commonly referred to as antelope. Photo courtesy of Royal Alberta Museum. This post was originally published on July 10, 2012 in honour of the 100th anniversary of the Calgary Stampede. 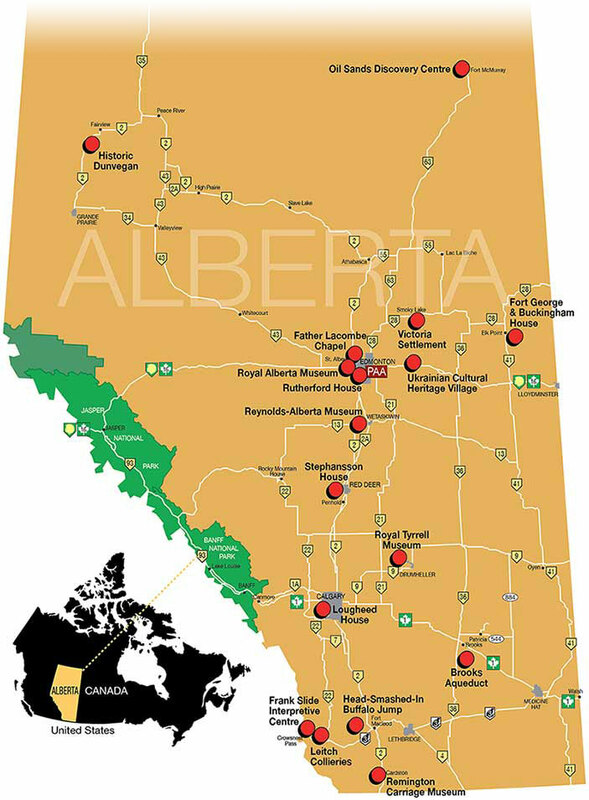 It highlights the place names and geographical features in Alberta named after The Big Four – the ranchers and businessmen that funded Guy Weadick’s 1912 wild west show and rodeo, which grew to become today’s Calgary Stampede. Six years later, the Stampede is once again in full swing – a good excuse to revisit the legacy of the Big Four. On the west side of Stampede Park, rising from the seething mass of carnival rides, concession stands and humanity that is the Stampede midway is the Big Four Building. This building is named for the Big Four – the four Southern Alberta ranchers and businessmen who funded Guy Weadick’s proposed rodeo and wild west show in 1912. 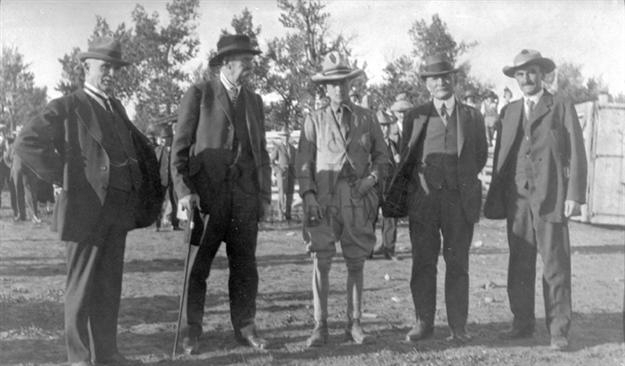 Intended to be a one-time event, the show and rodeo grew to become the Calgary Exhibition and Stampede. To say that the Big Four influenced Calgary’s popular culture would be a great understatement. Strikes, war and untimely death are all part of the story of the ambitious mining venture at Leitch Collieries in the Municipality of Crowsnest Pass. Saturday, July 7 is Canada Historic Places Day. Here in Alberta, you might be picturing a museum, an old Ukrainian farm house or that retrofitted old warehouse in downtown Calgary or Edmonton. In reality, historic “places” can be much more than urban buildings or interpretive centres. They’re vast swaths of land where First Nations hunted or geological landmarks tens of thousands of years in the making. Everyone across the province is invited to head out this weekend to learn about the stories, people and places that have shaped our province. We have more than 700 historic places designated under the province’s Historical Resources Act…maybe one of those is right in your neighbourhood! When you’re out exploring Alberta’s historic places, share your stories on social media using the hashtag #HistoricPlacesDay. And head over to historicplacesday.ca to find out how a selfie could land you a chance to win $1,000.